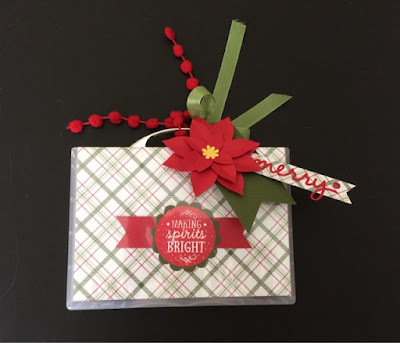 I am excited to use this bundle to make cards a nd beautiful tags. Check out the video and order today and I will show you and your friends how to make these adorable projects. 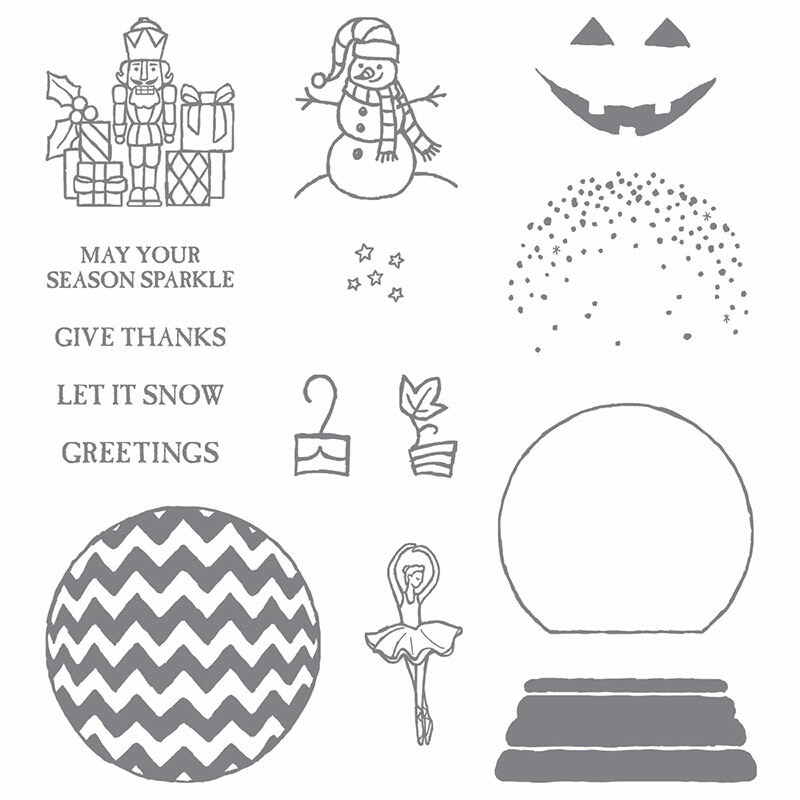 Peaceful Pines Photopolymer Bundle by Stampin' Up! Bundle and save! Buy these two coordinating products and save 15%. So easy. 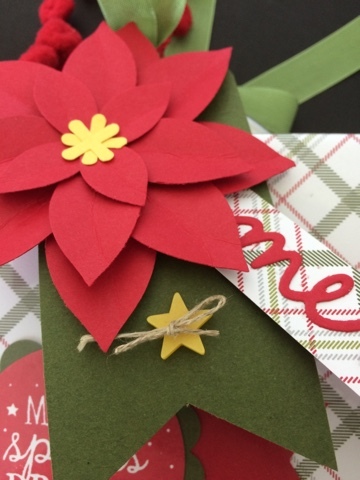 Now you can make Christmas trees to adorn cards, tags, and scrapbook pages in minutes. Make a forest or one solitary tree; it's up to you. Cut and combine these images to create perfect pines in the colors you want. 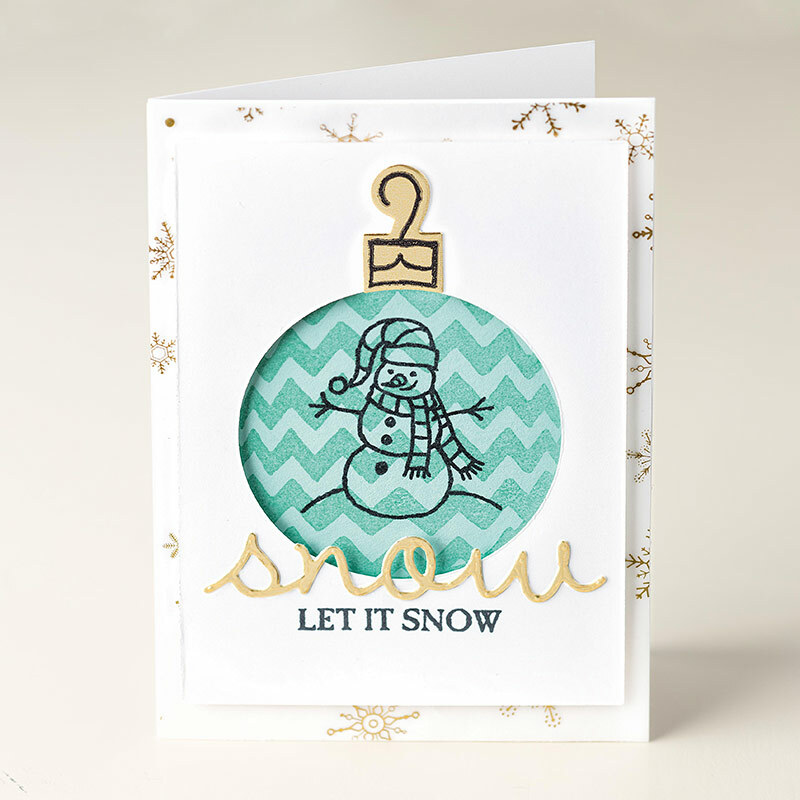 Cut out a basic tree shape, then add texture and depth with the layering pieces. 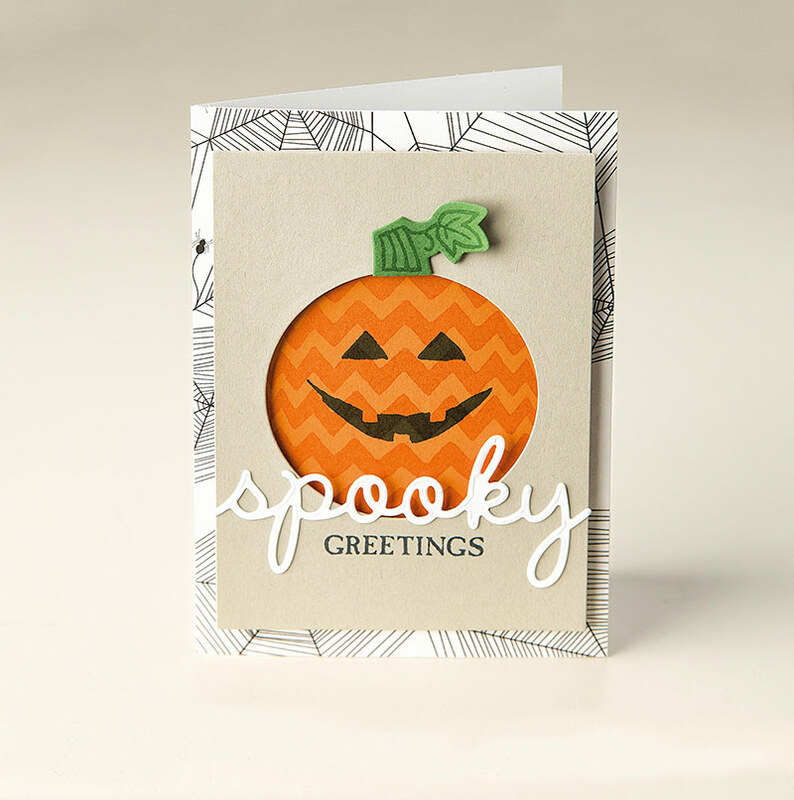 Create die-cuts in seconds with Framelits dies and the Big Shot. Framelits’ open design allows you to place them where you want for precise cutting. Check out this video on shakers cards, you are going to love them! Shake it up, baby! 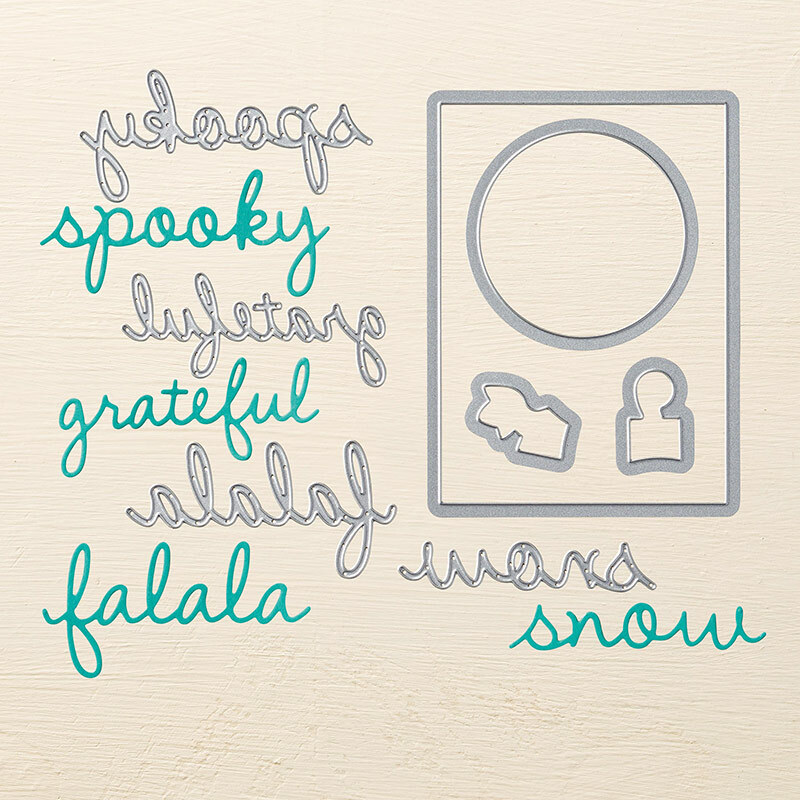 Your holiday cards will stand out from the others, thank to these easy-to-create shaker frame cards. Folded size: 4-1/4" x 5-1/2" | 10.8 x 14 cm. 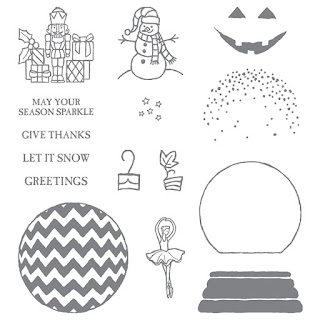 Complete the kit using the To You & Yours Too Stamp Set (item 139819). Stamps, ink, and adhesive sold separately. Instructions included. 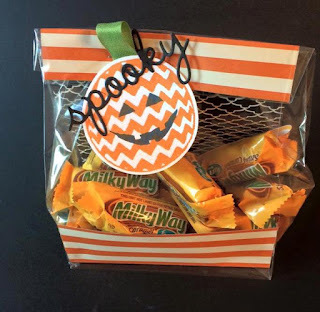 Labels: Frances Wagner, Shaker cards kit, Stampin' Up! 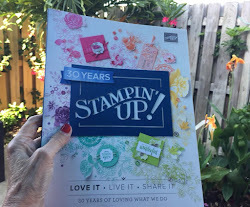 ALL regular priced Stampin’ Up! stamps will be discounted 15% off retail price. 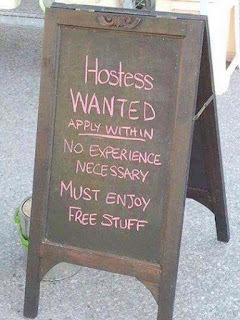 Hostess sets, rotary stamps, bundles with stamp sets and any stamp set that is on the Clearance Rack do not qualify for the 15% discount. 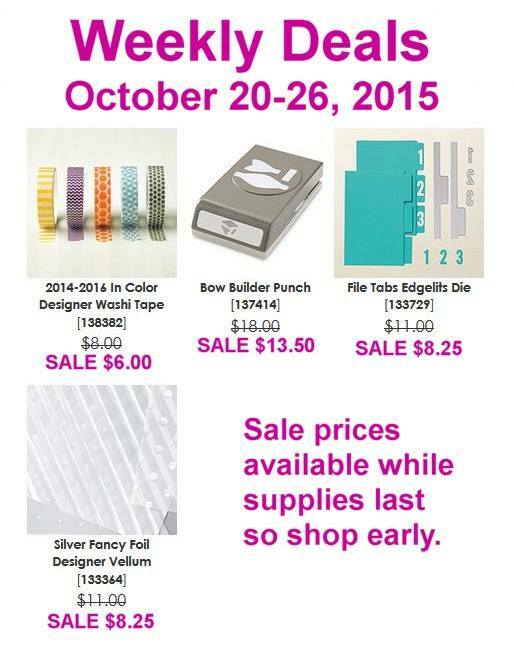 Sale ends October 23! Don't you love this cute stamp case card holder? Upcoming class making this case with handle and 3 cards. Contact me to reserve your spot. You can drop a check in the mail or you can use paypal. Just give me a call or email me to let me know which. 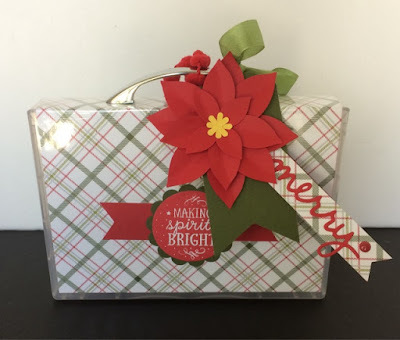 Labels: Frances Wagner, Stamp Case Holder Class, Stampin' Up! 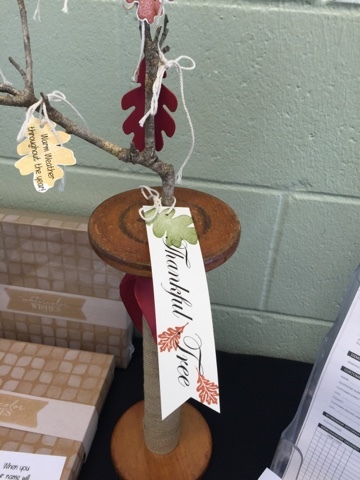 This past weekend I made a Thankful Tree for my display for the Salvation Army Crop. I am so blessed and so thankful for everything. I always want to show my friends that stamping is not always about cards. I typed my blessings on the computer and then stamped over them with For All Things stamp set and hand cut them out and tied to a branch and added to an antique spindle. I made the little banner on the computer and stamped with same stamp set as well at the little leaves from the stamp set that was in September's Paper Pumpkin. I added for a bit of color with some die cut leaves from a retired leaf big shot die. I enjoyed making it and others liked it. 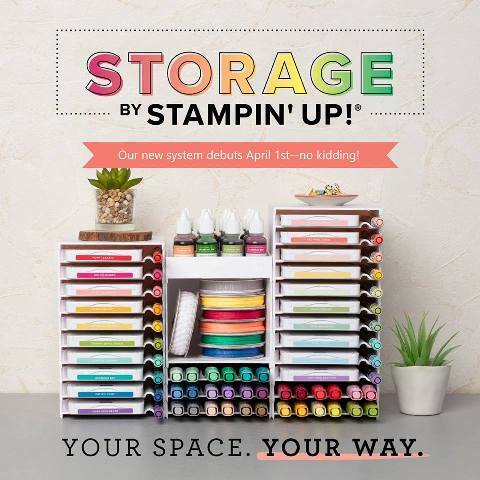 Leave a comment about how you use our Stampin' UP! stamps other than card making and I will draw a name and send you a card using this stamp set. 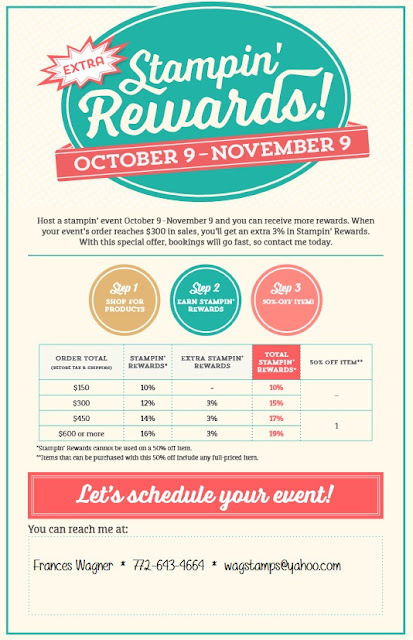 Have you heard about the big sale from Stampin' UP! 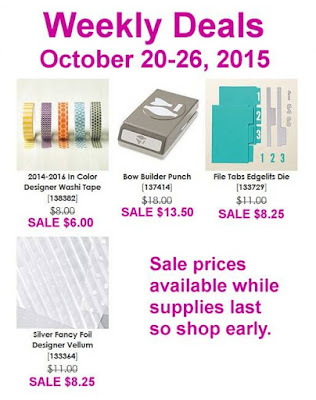 Labels: 15% off stamps, Frances Wagner, Stampin' Up! 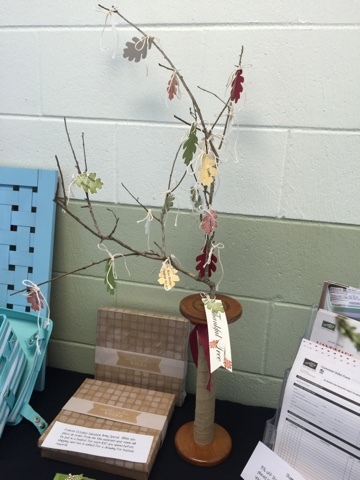 Last week I had a fun stamp camp and everyone loved the projects. Here are few samples I thought I would share with you. 2 ~ 2" x 7 1/2" pieces of card stock scored at 2 1/8", 4 3/4", and 6". 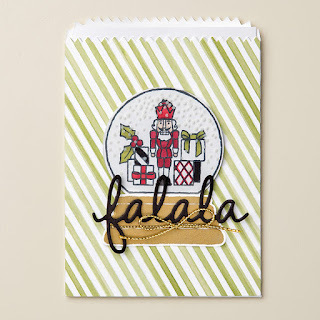 Punch ends with 1 1/2" panel with scallop tag topper punch, adhere opposite ends together with Tombow or Tear Tape. DSP for cup holder ~ 2 pieces each ~ 1 7/8" x 2", 1 7/8" x 1 1/8", 1 7/8" x 3/4". I did use a couple of glue dots on the top section to hold it together. This helps the cup to stay secure. To get a template for the cup, I just cut one of the cups one apart, traced it and cut it from cardboard that comes with the DSP. Who doesn't love the new woodland embossing folder. There are so many possibilities. For this fun card I used the soft sky ink pad directly on the embossing folder (I mostly dabbed it towards to top so it would look like the sky and clouds and not the bottom so it would look like snow); next stamp the trees from Lovely as a Tree or any other tree stamp you like with Mossy Meadow directly on the embossing folder; I ran the folder through the big shot using whisper white card stock and when it comes out it looks like this. I added the bird from the Tree Builder punch. I hope these inspired you. 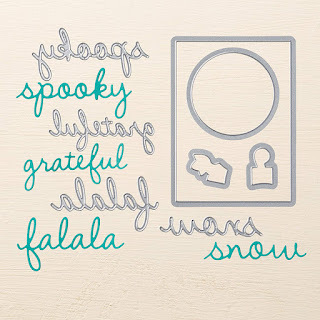 You can make this card at your own Stampin' UP party! Contact me today to get on my calendar. Check out this great special. A good time to have a party of your own. Just invite a few friends over to stamp with and I will do the rest. OR have a virtual Facebook party OR catalog party!!! Contact me today to get on my calendar. Sign up today to host your own party and stamp with friends. Which type of card do you want to make with your friends? Fall, Christmas??? Yes No Allow my demonstrator to contact me with order updates and other important information. This is a 15% savings when you buy the bundle. Are you ready for fall and Christmas as much as I am. This is such a versatile set you will love it throughout the season. There are so many possibilities. You are going to love this sweet bundle. To show our support for Breast Cancer Awareness Month, Stampin' UP! 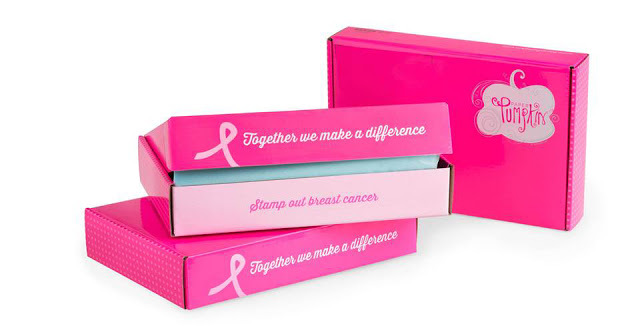 is going PINK...or at least our October Paper Pumpkin Boxes are! And because we know our subscribers want to share the love too, we will be making a donation on their behalf to the Breast Cancer Research Foundation (BCRF). Make sure you sign up before Oct 10th in order to have the donation sent on your behalf. 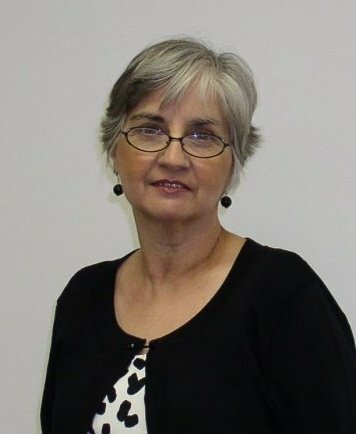 Thanks for shopping with me: Contact me at wagstamps@yahoo.com for your questions. Labels: Frances Wagner, Sparkly Seasons, Stamp of the Month, Stamp Out Breast Cancer- Paper Pumpkin, Stampin' Up!